It is quite easy to test API or Website using JMeter but you may come across situation when you have to load test java class directly. This post described how a java class can be load tested. 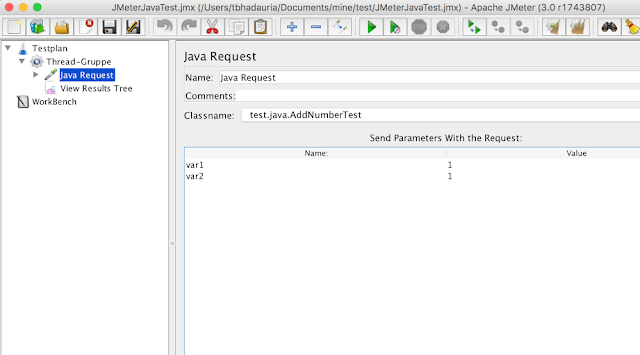 We will write a java program and use JMeter Java Sampler to load test it. 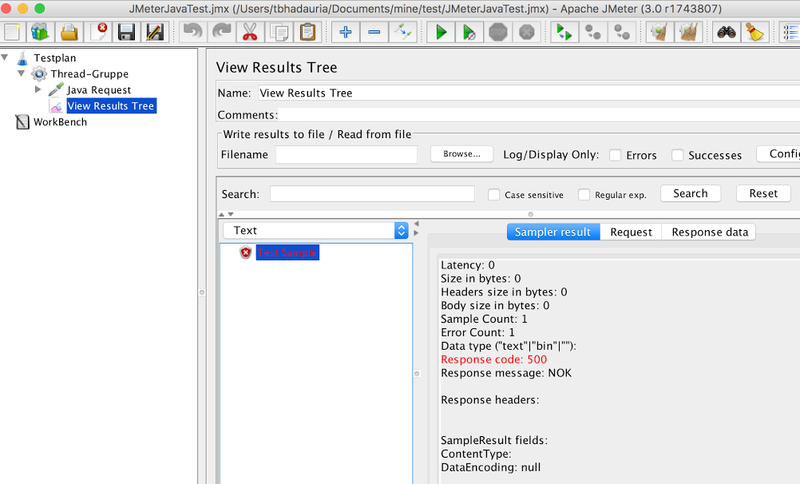 And a test program which we would use in JMeter later on. 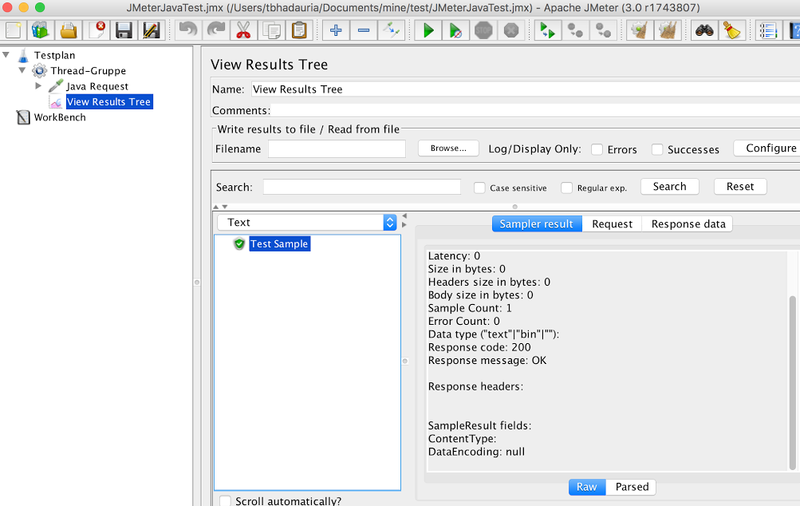 Implement interface JavaSamplerClient or to extend AbstractSamplerClient. simple. It add given numbers, if sum is equal to 2 then it is a success else failures.